Harry Potter fans rejoice!!! Wait there's no Harry Potter... But we can find Dumbledore here... wheeeeee.... (spoiler alert LOL). Honestly we were surprised by the first movie. 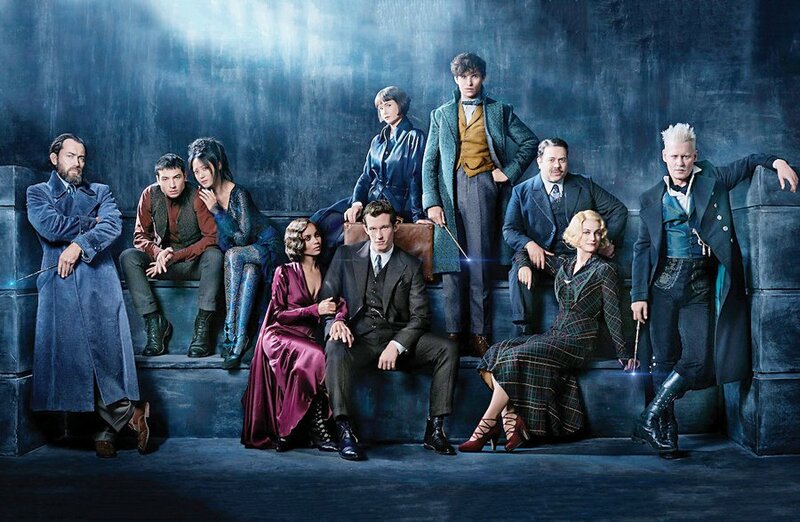 Of how one film can level up with the Harry Potter series and of how it did dawned on us, that we watched the whole movie is awe yet Harry was not in it. We even didn't notice him in his absence. With that we expect this upcoming film will be good in its own right. Now back to Dumbledore errr Newt Skamander. Here we see him going around the globe again and bringing the whole gang back again for this movie. Add more characters in we should have a better movie than the first. Storywise, this one feels like a Star Wars movie. If you look closely at the trailer, there were lots of easter eggs in them to reference them to the Harry Potter series (except no reference to Harry himself, maybe that will come in future sequels). Then again, we should be waiting for a final trailer for sure as this film will come late this year. Newt had us at the edge of our seats in the first film, and now this? We can't wait to watch it when it comes out in November 2018.